Golden is the perfect spot for holiday revelers of all ages to celebrate the season. From simple family walks under the lights that illuminate the Clear Creek walking path to old time parades, there are plenty of free and fun activities that will help you connect with friends and family. 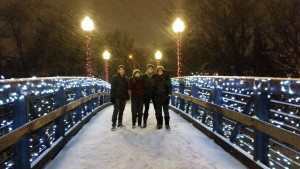 Holiday Lights & Candlelight Walk on Washington Avenue- While Golden&apos;s festive holiday lights are up all season long, you can also join in the city&apos;s beloved Candlelight Walk on Dec 1, at 6 p.m. 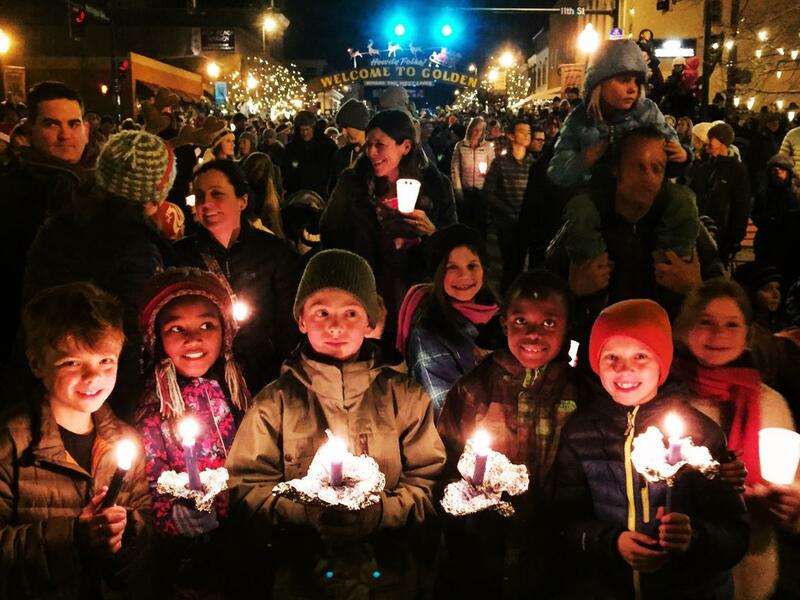 Walk down Washington Avenue in historic downtown, candles in hand, singing holiday carols during Golden’s hometown Candlelight Walk. The walk begins at Foothills Art Center at 6:30 p.m. and ends in front of the Golden Visitors Center for the annual Christmas Showcase and lighting of thousands of holiday lights along Clear Creek as well as a brief fireworks show. Afterward, there will be roasted chestnuts in the Golden History Park, musical performances along the creek, and live reindeer and Santa in the Visitors’ Center parking lot. Festive dress is encouraged. Olde Golden Christmas Parade- Saturday, Dec. 2, 9 & 16 at 10:30 a.m. - Watch Santa zoom around in his sidecar motorcycle, heckle the Grinch as he drives by in his Corvette, or cheer on elves as they race on unicycles during the weekly Olde Golden Christmas Parade. 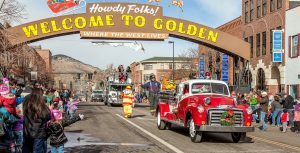 This “new old-fashioned” holiday parade will give you that sentimental feeling, bursts with Colorado charm, and is a perfect free family-friendly tradition. Presented by the Golden Chamber of Commerce. 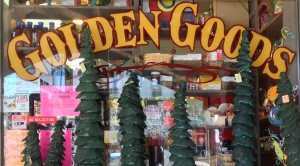 Holiday Shopping- If holiday shopping in a mall turns you into a Grinch, head to Golden, where dozens of locally owned stores line the charming downtown. With plenty of deals from the Golden Passport program and lots of cafes, brew pubs and restaurants to offer a delicious respite, you’ll have your shopping completed in no time! Here’s a list of some of our favorite Golden gifts this holiday season. Festive Family Walks & Holiday Hikes - Whether you want to conquer a challenging trail or stroll under the spectacular lights that illuminate the Clear Creek walking paths, Golden offers plenty of opportunity for family recreation. 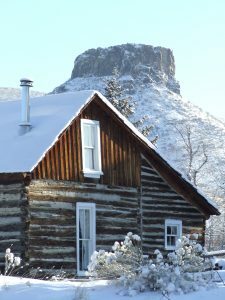 Head to North Table Mountain to enjoy stunning vistas while walking off that holiday ham or walk through downtown and enjoy the holiday cheer. The holidays become extra meaningful when you spend them with family and friends enjoying the beauty of Colorado. 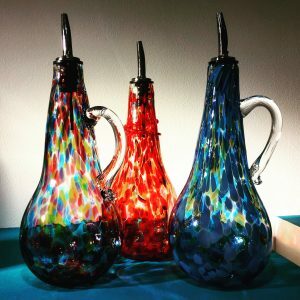 Holiday Art Market- November 16-December 30 - Holiday Art Market (HART) at the Foothills Art Center offers a collection of unique art and fine crafts by more than 100 Colorado artists displayed in a stunning holiday setting. Admission is free and open to the public. For more information on holiday events and activities, go to our online Holiday Calendar. Have yourself a merry little Christmas-- in Golden.